Sodosopa is a shopping, dining and entertainment district that is highly cultural. It features hip hangouts such as Steed, Bi the Garage, Brighton's, The Stag, and Savor the Goodness. 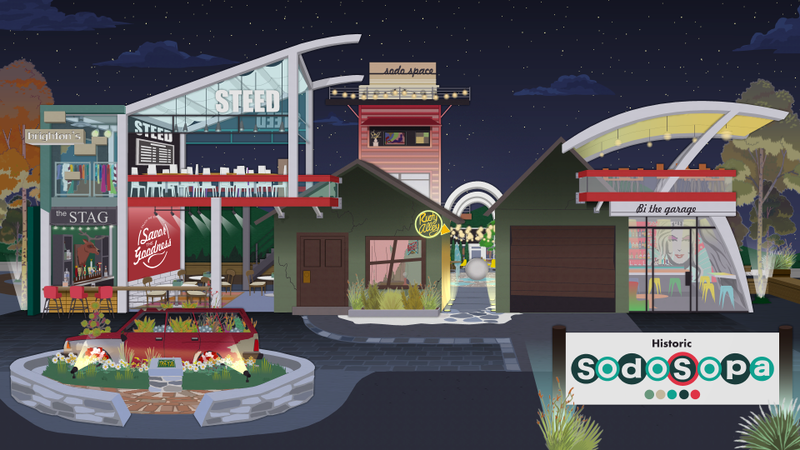 Go on back through Rusty Alley and meet up with your friends at Soda Space. Coming soon are The Lofts at Sodosopa and The Villas at Kenny's House.